Looks like September is going to be a busy one ,The last fully marked 3(F)Sqn Typhoon departed late last month for storage at Shawbury. I think we have had a greater number of People visit over the School holidays this year, It is a pity some of them don’t take the litter home instead of leaving it around the viewing points for the locals to pick up. 1st Thur Log thanks to Garf. 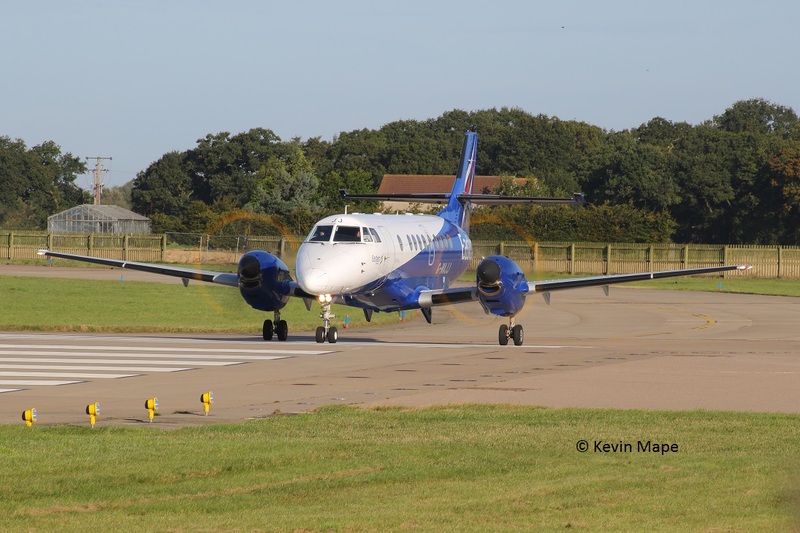 G-MAJJ/JJ/Eastern/Jetstream 41 c/s “East Flt 102” in “103” – out. 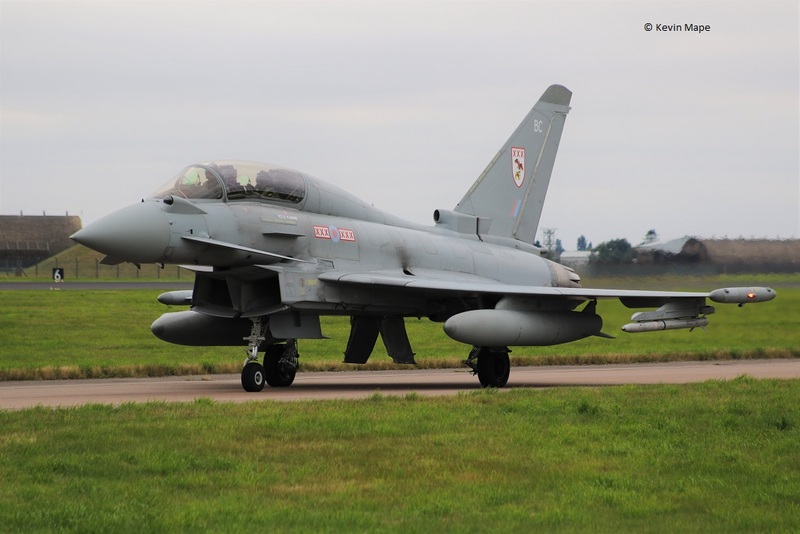 ZJ947/EB-L/41(R)TES c/s “Rebel 89” – To Lossiemouth. ZK452/L/45(R)Sqn/King Air B200 c/s “Cranwell 19” – Overshoot. ZK351/Unmarked c/s “Razor 11” – To the hot pit. 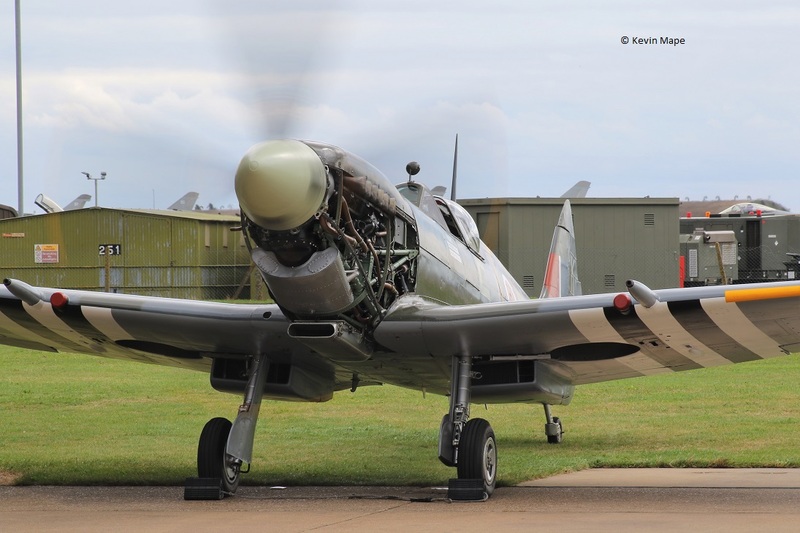 AB910/SH-F/BBMF/Spitfire Vb c/s “Fighter 1” – To Scampton for display. 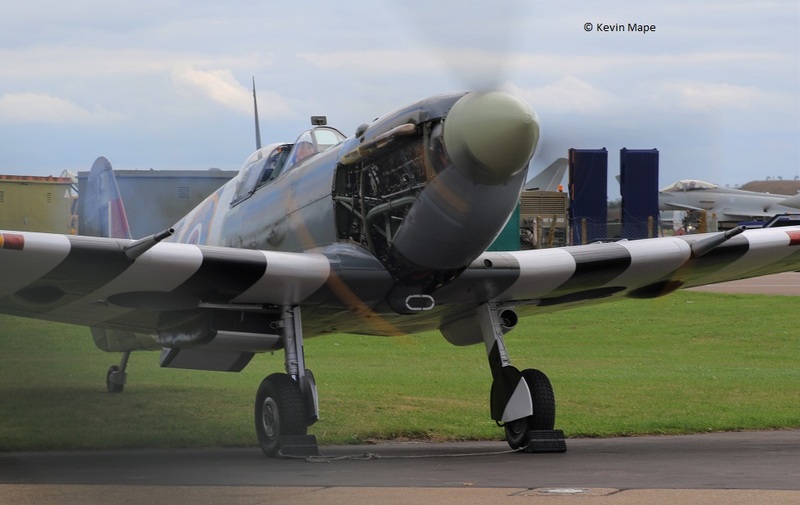 LF363/JX-B/BBMF/Hurricane IIc c/s “Fighter 2” – ground abort. 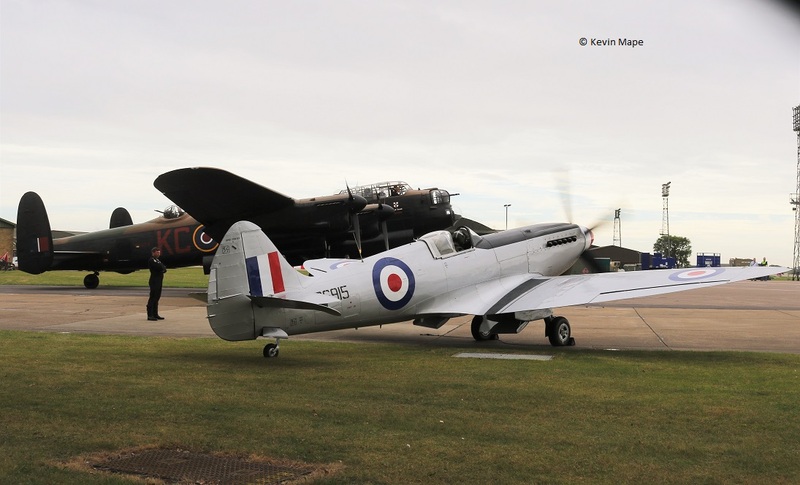 PA474/KC-A/BBMF/Lancaster I – Noted outside BBMF. 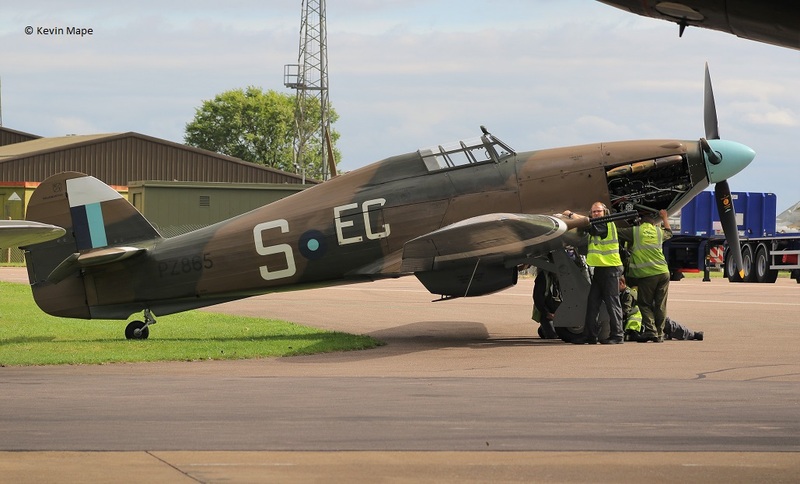 ZK354/BY/Unmarked c/s “Typhoon 35” – To Scampton for display. ZK381/EX/6Sqn c/s “Warlord 51”- Live Missile, Clean on return. 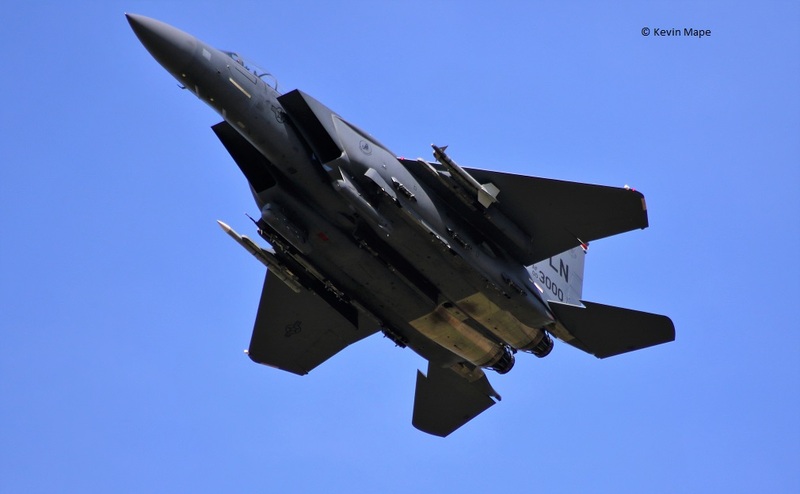 ZK317/ES/Unmarked c/s “Warlord 52” – Live Missile, Clean on return. ZK456/P/45(R)Sqn/King Air B200 c/s “Cranwell 78” – Overshoots. 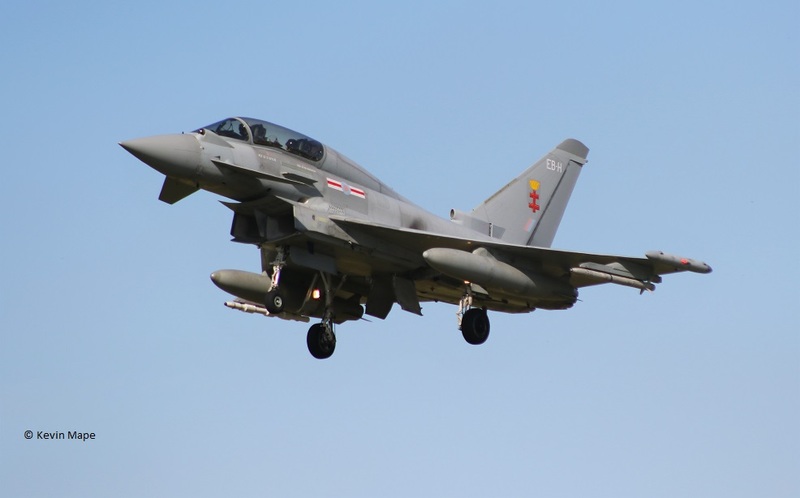 29(R)Sqn – EB-H, BE, BF, BG, BP, BQ, BC, BY, BA, BV ,ZJ930. Echo.- EO, QO-P, FN, ZK351, DW,ZK383. G-MAJJ/JJ/Eastern/Jetstream 41 c/s “East Flt 101” in “102” out. 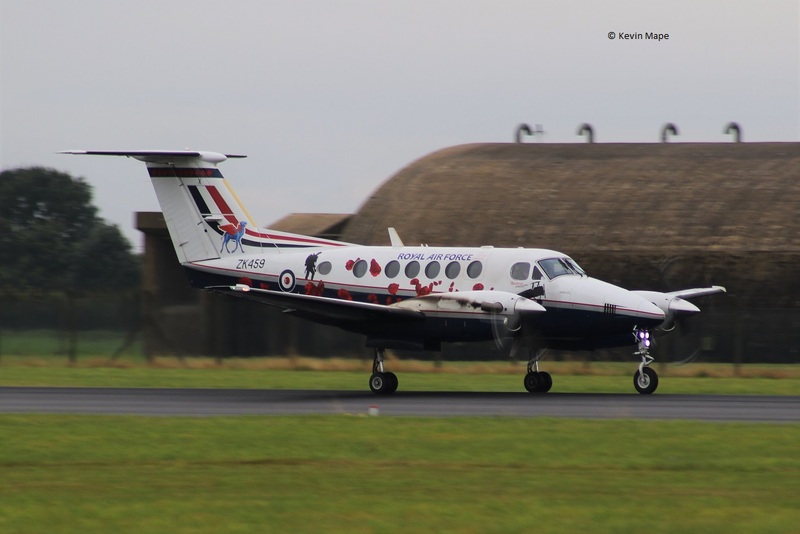 ZK459/45(R)Sqn Special/ King Air B200GT c/s “Cranwell 64” – rollers. 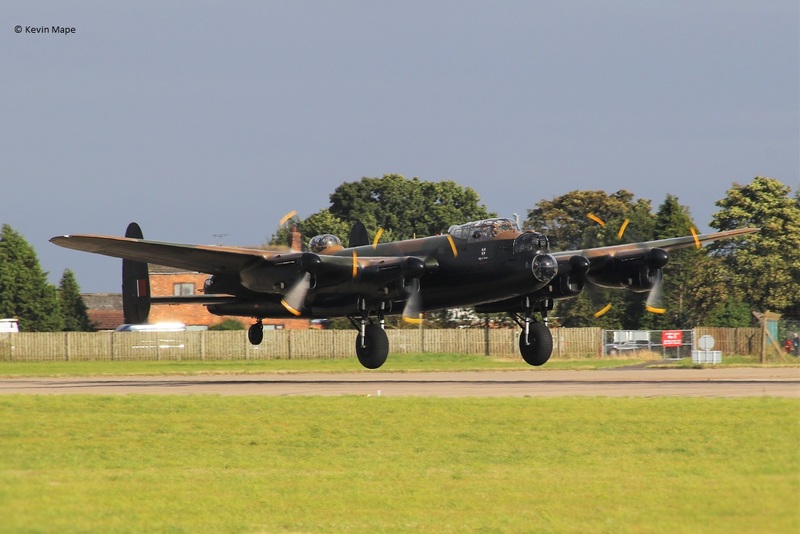 PA474/KC-A/BBMF/Lancaster I c/s “Lancaster 95” – Test flight. G-FRAU/AU/Cobham/Falcon 20 EW c/s “Rushton 91” – Departed. PA474/KC-A/Lancaster I c/s “Lancaster 95” – Test flight. 5th Mon Log thanks to Sue Matson. 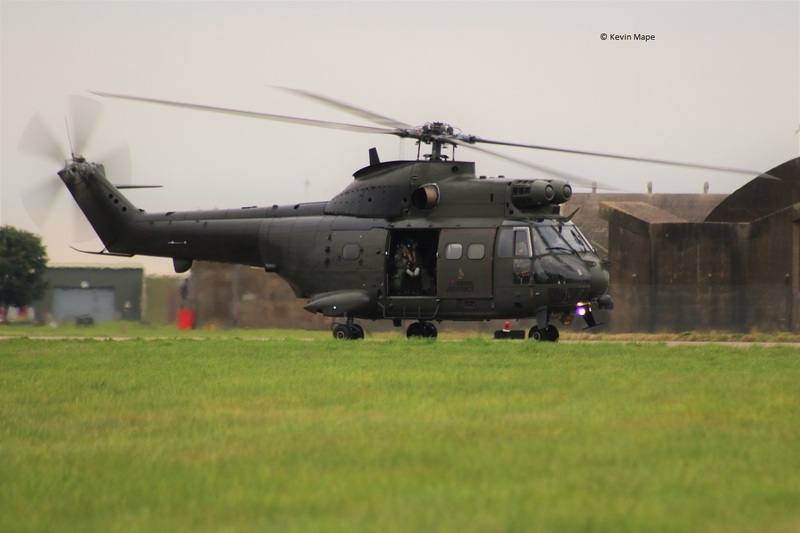 XW237/33Sqn/Puma HC2 c/s “Vortex 009” – Fuel stop. QQ103/ETPS/Da-42 Twin star c/s “Tester 08” First visit in QQ marks. ZK456/P/45(R)Sqn/King Air B200 c/s “Cranwell 68” – Rollers. ZK456/P/45(R)Sqn c/zs “Cranwell 84” – Rollers. 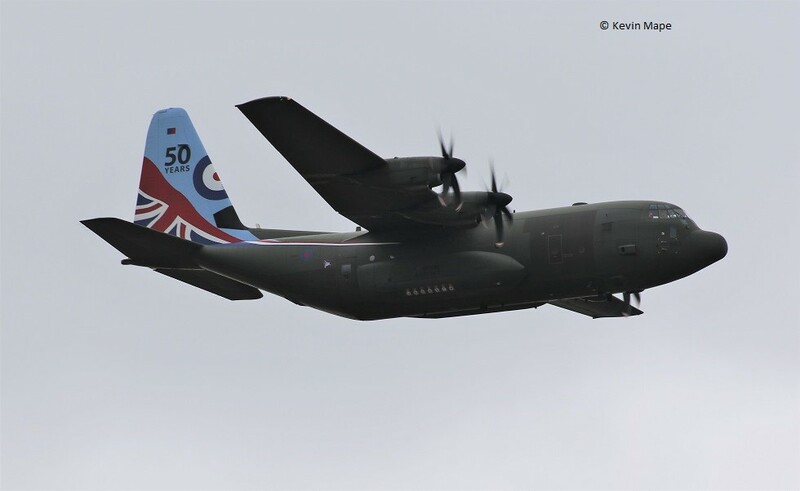 ZJ942/DH/XI(F)Sqn c/s “O9C27” QRA – cancelled. ZF205/205/1FTS/Tucano T1 c/s LOP 23″ – Overshoot. QQ103/ETPS/Da-42 Twin Star c/s “Tester 08” – Departed. 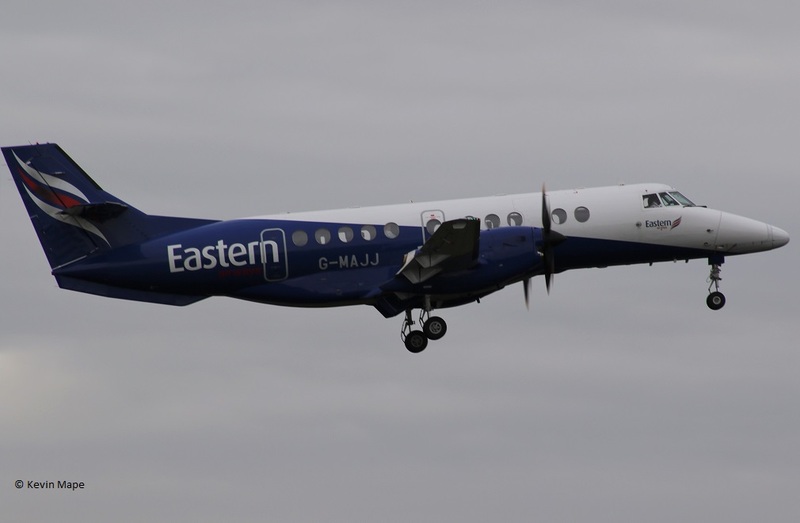 G-MAJJ/JJ/Eastern/Jetstream 41″ c/s “East flt 104” in “105” – out. 7th Wed Log thanks to Susie Matson. ZH103/03/E3 Sentry c/s “Nato 36” – Departed. ZK452/L/45(R)Sqn/King Air B200 c/s “Cranwell 257 ” – Parked on the ASP. ZK452/L/King Air c/s “Cranwell 64 ” – departed. 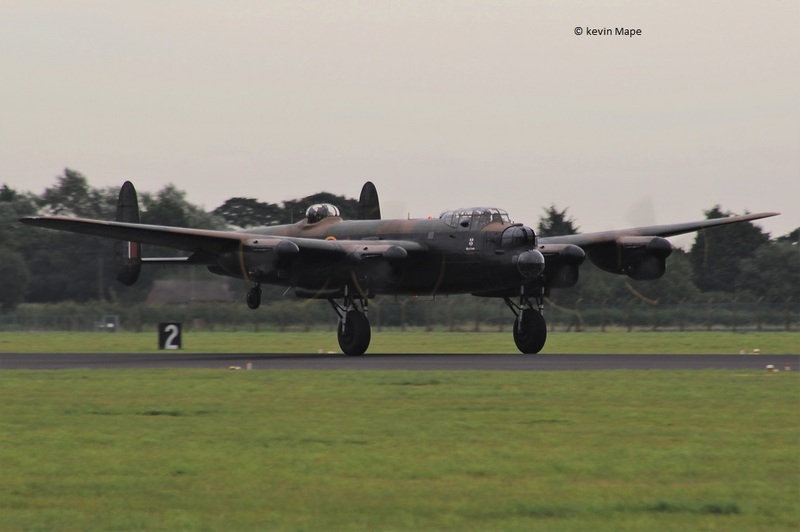 PA474/KC-A/BBMF/Lancaster I c/s “Ascot 7006” – To Jersey. 8th Thur Log thanks to Garf. ZA588/056/Unmarked c/s “*********” – Parked on Sierra. ZD739/087/Unmarked c/s “*********” – Parked on Sierra. G-BYUZ/UZ/3FTS/Tutor T1 c/s “Cranwell **” – Overshoot. ZA453/022/Unmarked c/s “*********” – Parked on Sierra. G-FFRA/RA/Cobham/Falcon 20 EW c/s “Rushton 75” – Parked on the ASP. G-MAJJ/JJ/Eastern/Jetsteam 41 c/s “East flt 104” in “105” out. G-FFRA/RA/Cobham/Falcon 20 EW c/s “Rushton 75” – Departed. ZD848/109/Unmarked/tornado GR4 c/s “Lossie 11” – Parked on Sierra. 12th Mon Log thanks to Susie Matson & Rich. ZJ815/EB-H/41(R)TES – Noted on the Wash pan. 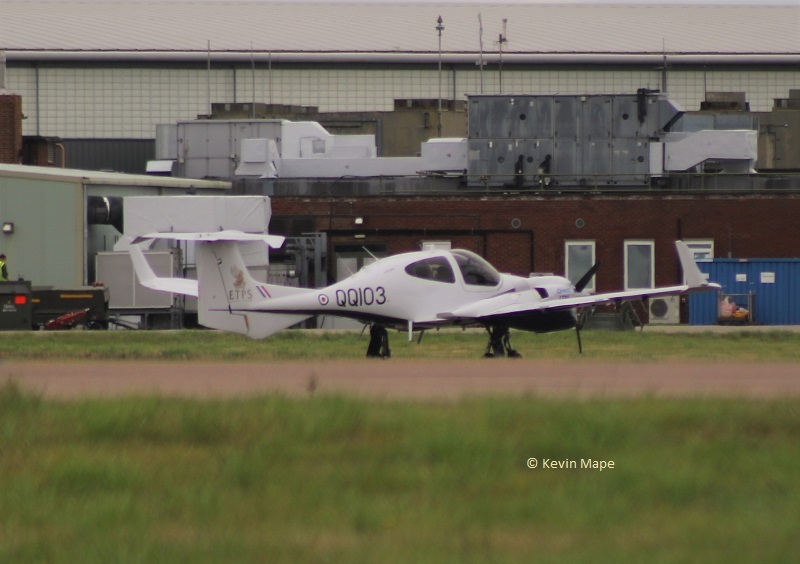 ZK352/BV/Unmarked c/s “Triplex 01” – Return from Liverpool with :-. 13th Tue Log thanks to Steve & Val. ZK354/BY/Unmarked – Towed to the Wash pan. 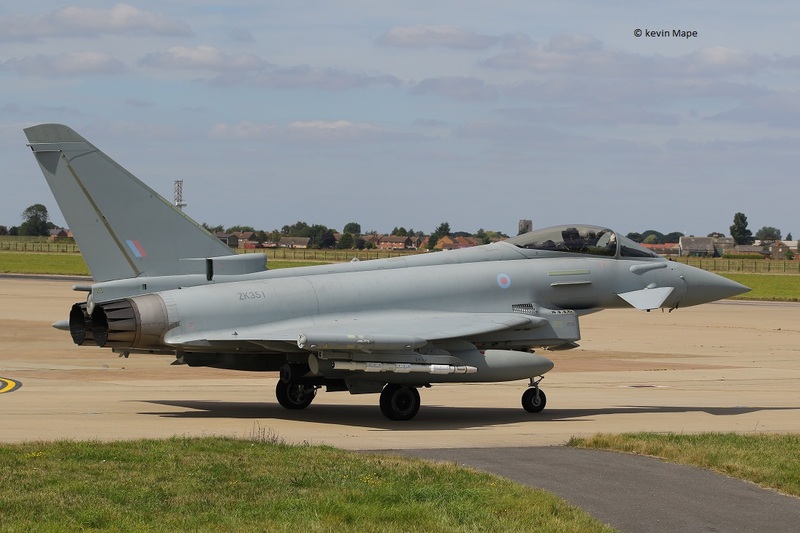 ZJ801/BJ/29(R)Sqn – noted outside TMF. ZK306/ED/Unmarked – (TMF) Engine runs on the ASP. ZJ920/R/Unmarked c/s “Lossie 59” – To TMF. ZK347/EF/unmarked – Noted outside TMF. G-FRAH/AH/Cobham/Falcon 20 EW c/s “********” – Parked on the ASP. G-FRAS/AS/Cobham/Falcon 20EW c/s “Rushton 91” – parked on the ASP. ZK333/Unmarked c/s “Lossie 59” – Delivery to Lossiemouth. “Album 16” – Ground abort. 15th Thur Log thanks to Rich. 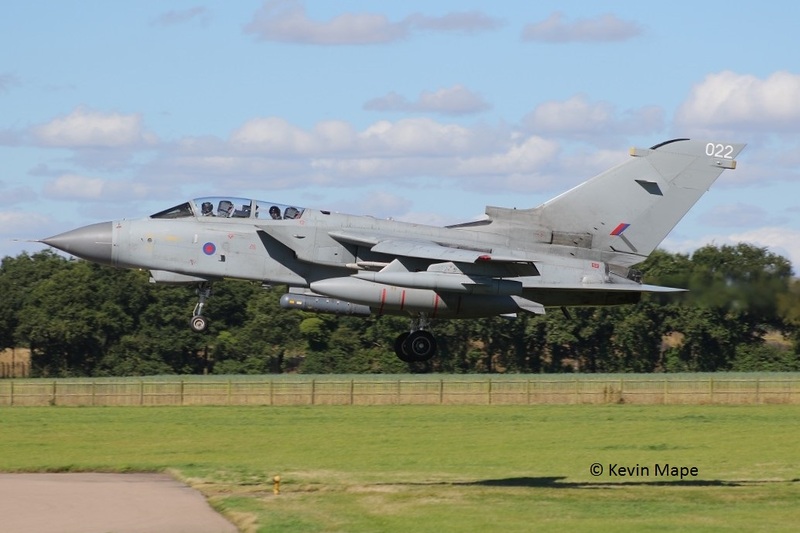 ZG777/135/Unmarked/ Tornado GR4 c/s “Marham 79” – Parked on Sierra. G-MAJJ/JJ/Eastern/Jetstream 41 c/s “East Flt 104” in “105” out. G-FRAS/AS/Cobham/ Falcon 20 EW c/s “Vader 62” – Parked on the ASP. ZK351/BU/Unmarked c/s “Havoc 21” – f/n with code. 20th Tue Log thanks to Steve & Val. 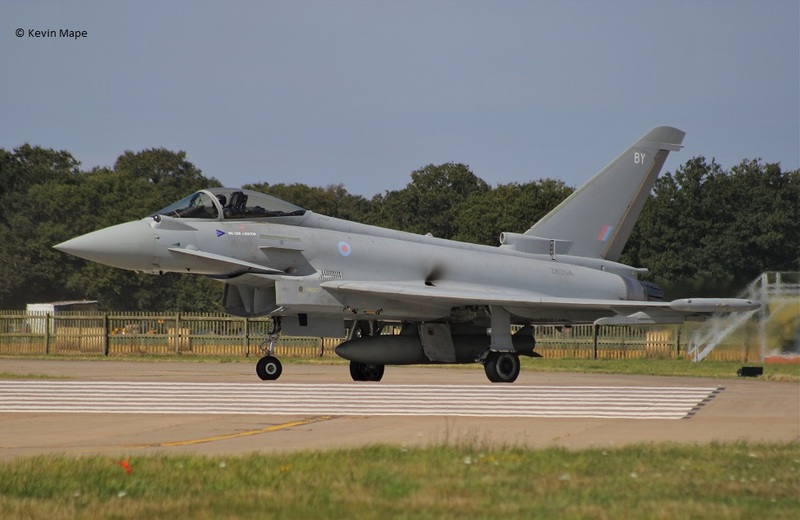 ZJ804/BM/29(R)Sqn c/s “Warlord 32” – Ground abort. No.108/YW/EAT00.319/Xingu c/s “Cotam 1718” – Parked on the ASP. ZK345/EP/unmarked – Noted outside the TMF. 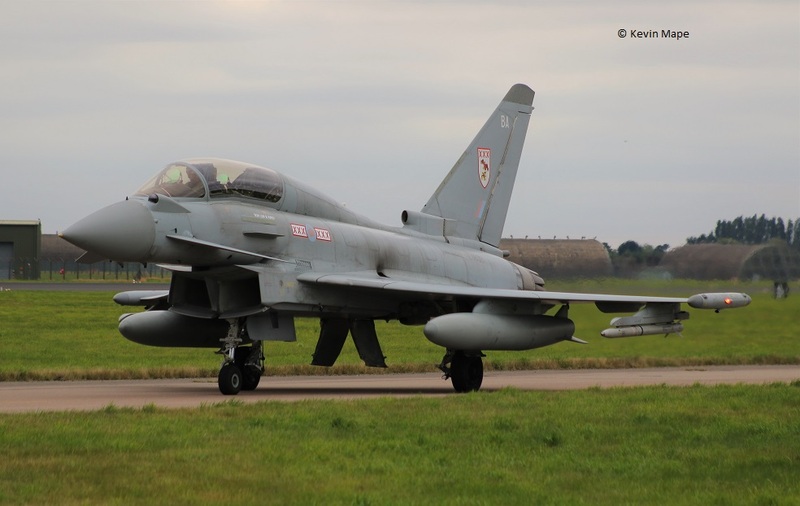 ZK346/ER/Unmarked c/s “Typhoon **” – F/n with code ER. ZK300/H/Unmarked – Towed from TMF to the ASP. No.108/YW/EAT00.319/Xingu c/s “Cotam 1718” – Departed. 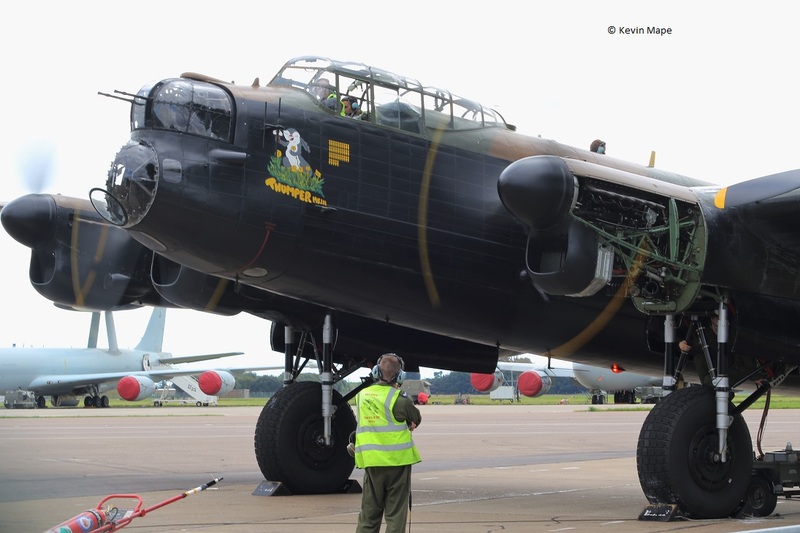 PA474/KC-A /BBMF/Lancaster I c/s “ascot 7002” – Returned from the Netherlands. 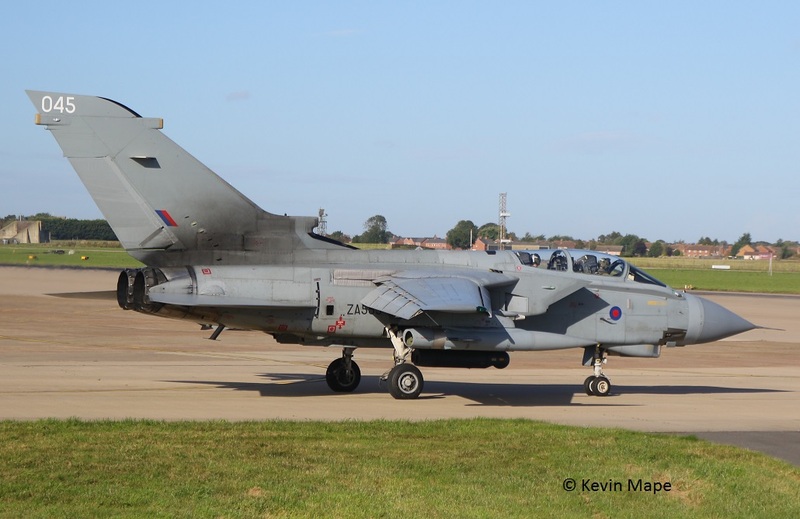 ZH102/02/8Sqn/Sentry AEW1 c/s “Solex 01” – To Waddington but returned to Coningsby. 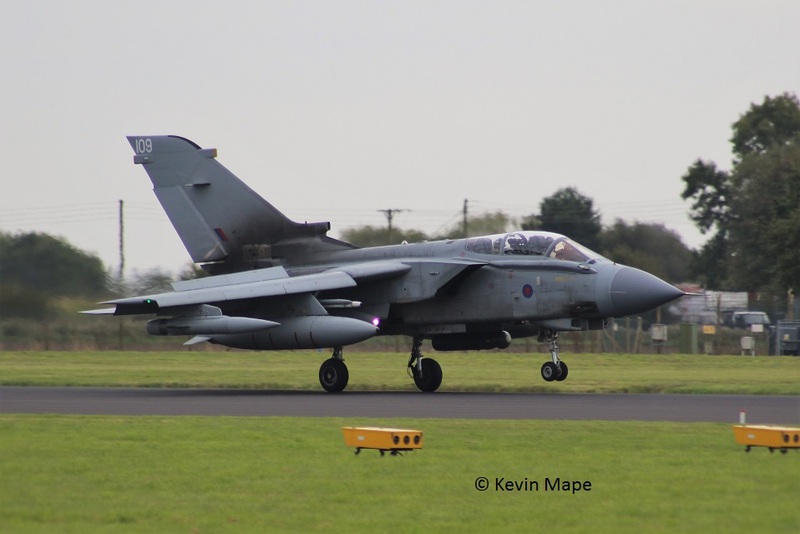 ZG775/ EB-Z/41(R)TES/Tornado GR4 c/s ” viking 2 – (diverted to Brize as cby became fogbound. 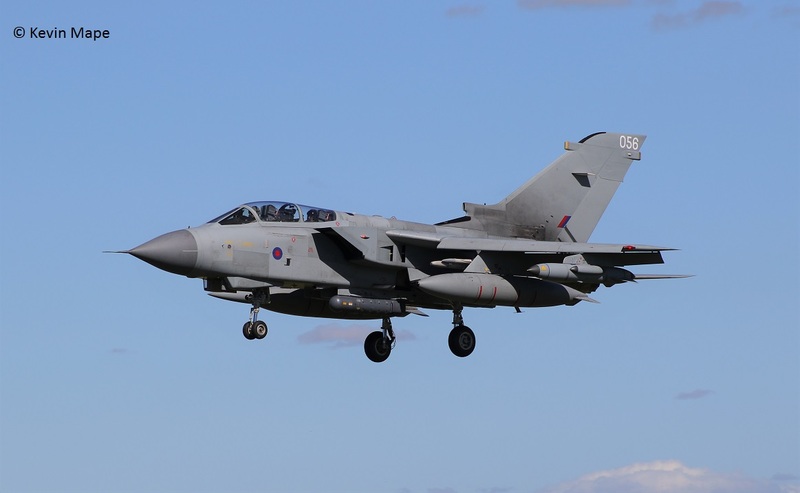 Sierra – ZA553/045/Unmarked/Tornado GR4 ,ZD848/109/Unmarked/Tornado GR4. 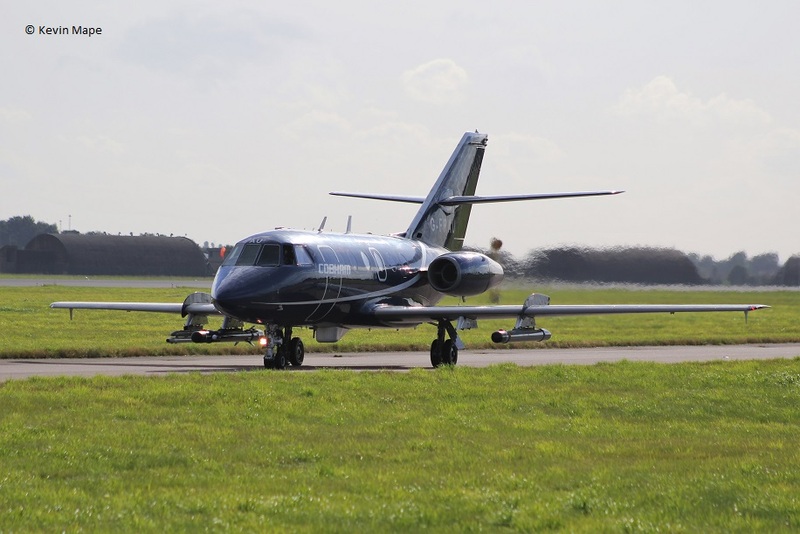 Cobham – Falcon 20 EW G-FRAS, GFRAH. 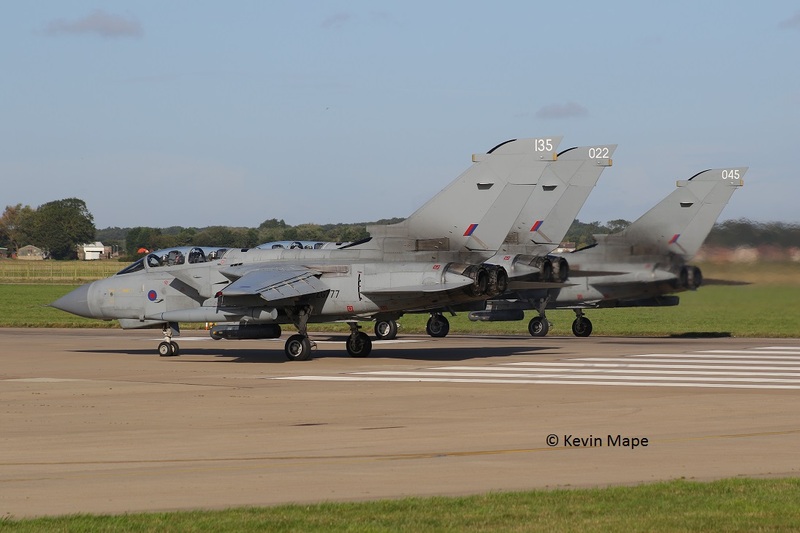 29(R)Sn – ES, BQ, BA, BH, BY, EX, ZJ930,EB-H.
Sierra – Tornado GR4 – 022,045,056,087,109,135. G-MAJJ/JJ/Eastern/Jetstream c/s “East flt 101” in “102” out. 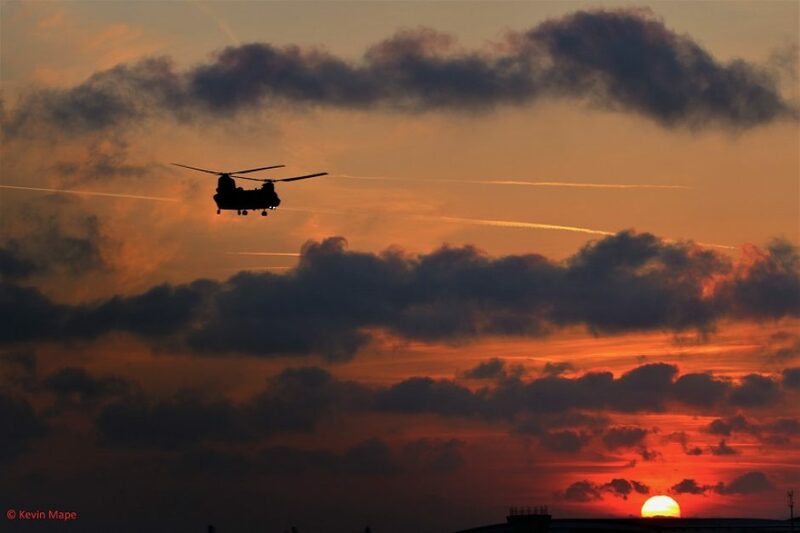 ZH888/Hercules C5 c/s Ascot 169″ – departed. ZK331/BT/29(R)Sqn c/s “Cobra 21” – Ground abort. 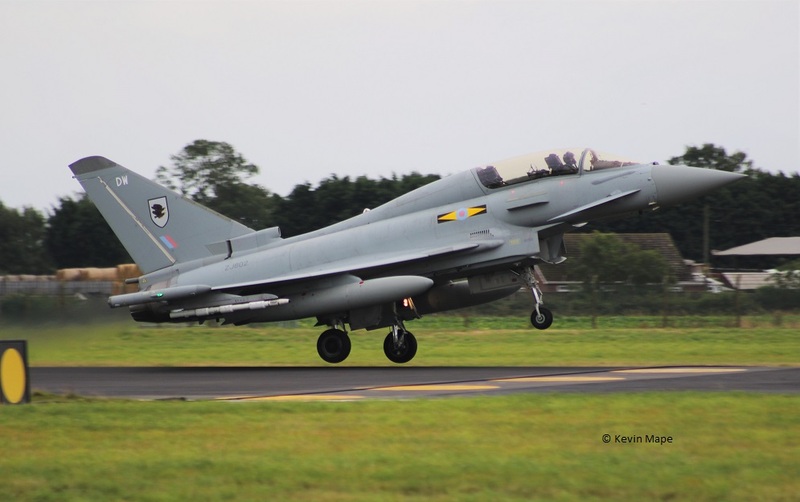 ZJ804/BM/29(R)Sqn c/s “Cobra 22” – Ground abort. 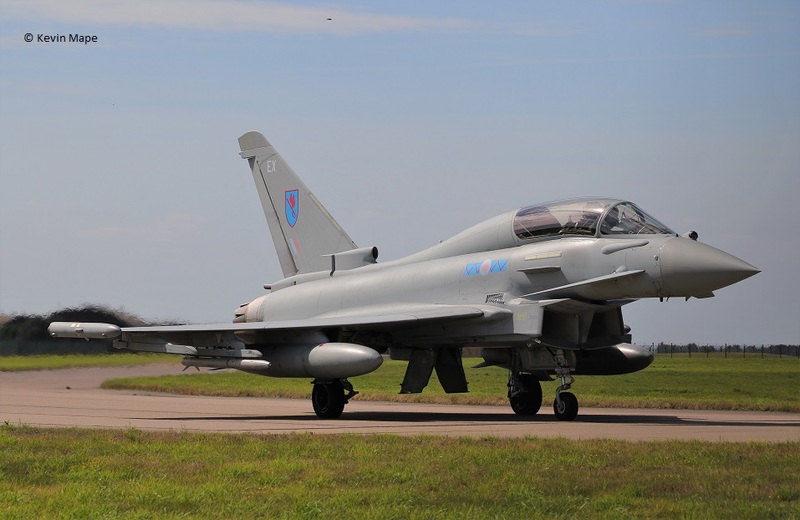 ZK345/EP/Unmarked c/s Lossie ** – Delivery to Lossiemouth from TMF. ZK340/FI/Unmarked c/s “Ascot 9722” – From Akrotiri. ZK322/GS/Unmarked c/s “Ascot 7009A” – To Neuburg Germany with :-. 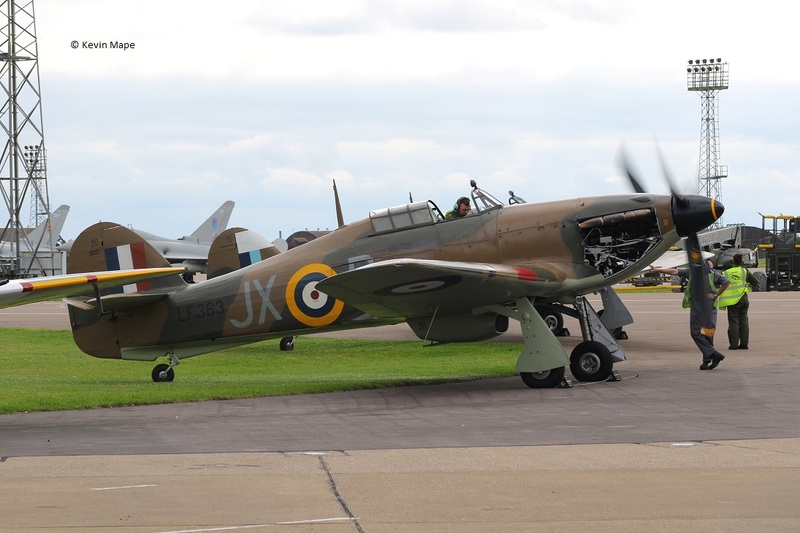 Noted outside BBMF – PA474/KC-A,P7350/EB-G.
WB726(G-AOSK)/E / BBMF / Chipmunk 22 c/s “Chippy 9*” – Test flight. G-FRAS/AS/Cobham/Falcon 20 EW c/s “Rushton 89” – Departed. G-FRAH/AH/Cobham/Falcon 20 EW c/s “Rushton 91” – Departed. G-MAJJ/JJ/Eastern/Jetstream 41 c/s “East Flt 103” in “104” out. 26th Mon Log thanks to Susie Matson. G-FRAS/AS/Cobham/Falcon 20 EW c/s “Rushton 89” – Parked on the ASP. ZK322/GS/Unmarked c/s “Rafair 7009 A” – Return from Neuburg Germany. G-FRAH/AH/Cobham/Falcon 20 EW c/s “Vader 62” – Parked on the ASP. XX327/QiniteQ/Hawk T1 c/s “Gauntlet 20” – Parked on the ASP. 27th Tue Log thanks to Steve & Val. Noted on the Wash pan – ZK306/ED/Unmarked. 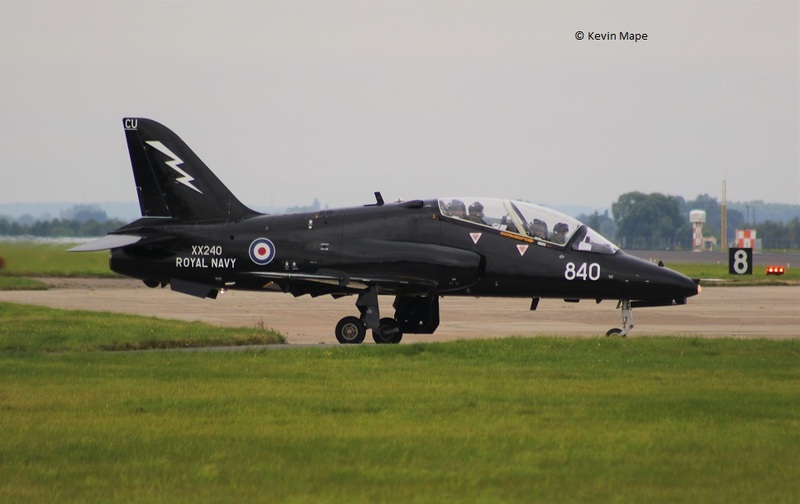 XX327/QinetiQ/Hawk T1 c/s “Gauntlet 20” – Mission. G-FRAS/AS/Cobham/Falcon 20 EW c/s “Tasman 71” – Parked on the ASP. G-FRAH/AH/Cobham/Falcon 20 EW c/s “Zodiac 51” – Mission. 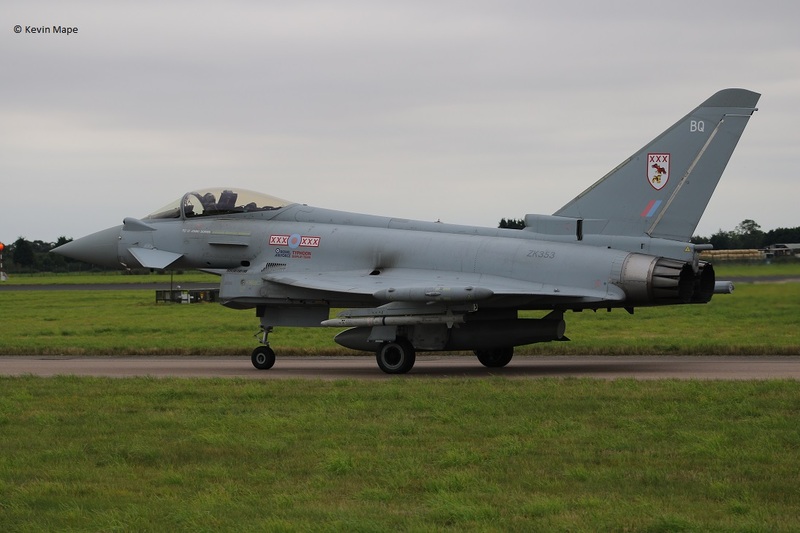 ZK308/BW/29(R)Sqn – (TMF) noted on the ASP – later towed back into the TMF. 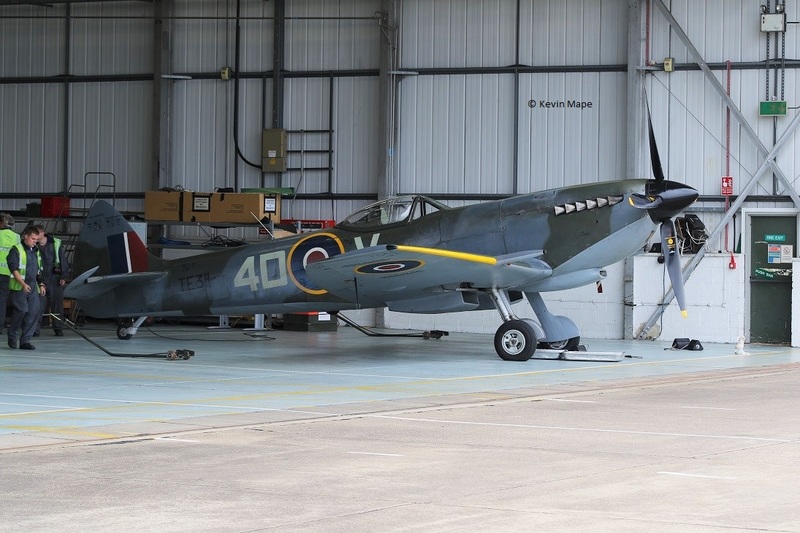 ZK334/A/II(AC)Sqn – Towed from Hangar 2 to the TMF. ZK379/EB-B/41(R)TES c/s. “Rebel **” – First time noted in marks. Noted on the Wash pan. Noted on the ASP in the evening. ZK352/BV/Unmarked c/s “Typhoon 35” – Display. G-MAJJ/JJ/Eastern/Jetstream 41 c/s “East flt 101” – in “102” – out. ZK322/GS/Unmarked c/s ” Havoc 21″ – Returned with problems. 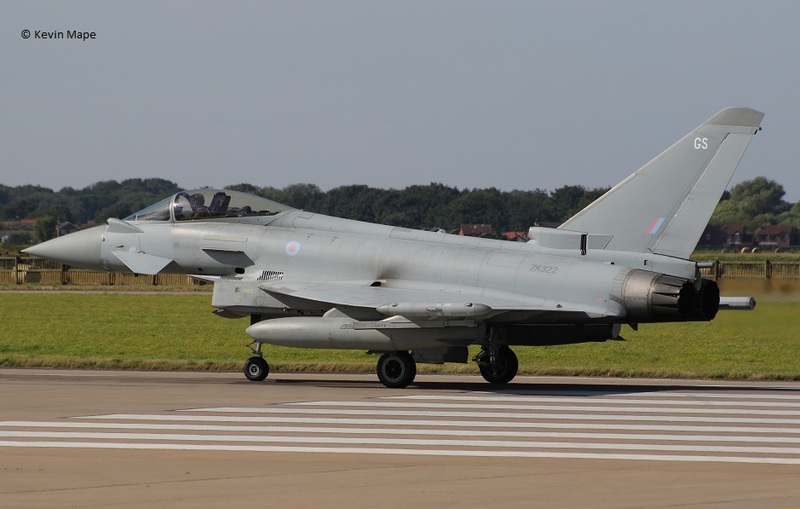 ZK373/Unmarked/Typhoon FGR4 c/s “Tarnish 05” – Delivery from Warton. 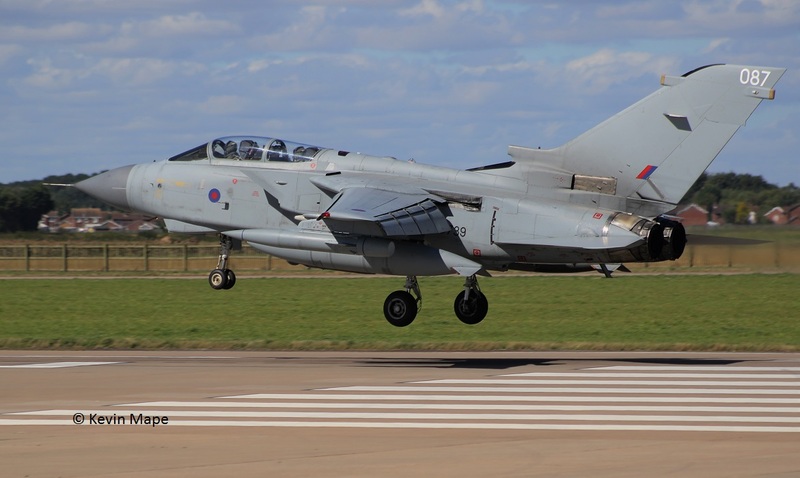 ZD848/109/Unmarked/Tornado GR4 c/s “Lossie 17” – To Lossiemouth. 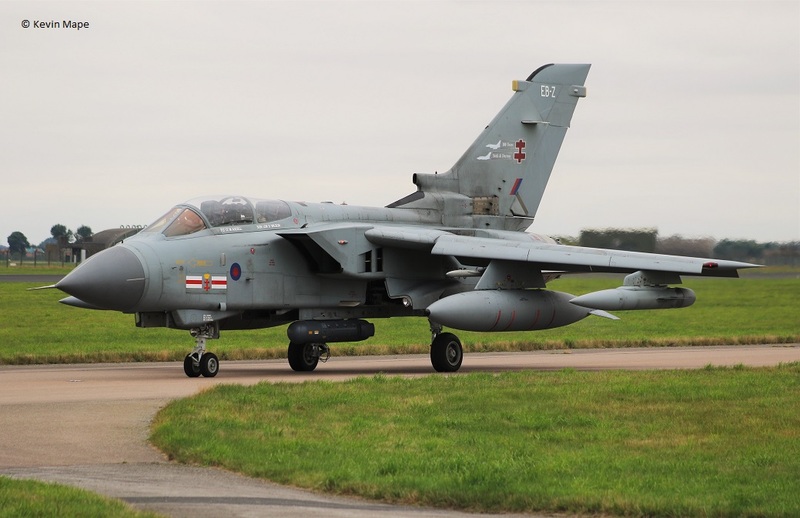 ZA453/022/Unmarked/Tornado GR4 c/s “Deluge 51” – Departed. ZZ419/14Sqn/Shadow R1 c/s “Vulcan 1” – Parked on the ASP. 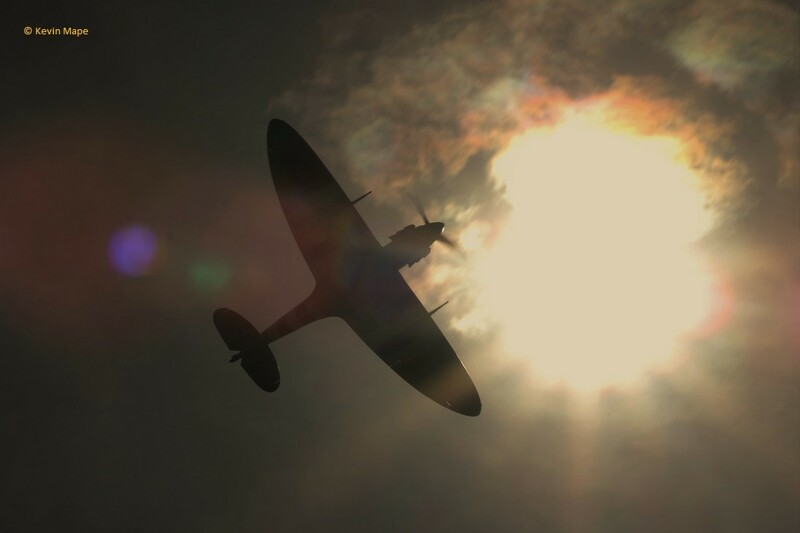 ZZ419/14Sqn/Shadow R1 c/s “Vulcan 1” departed……did a mission and arrived back just after sunset. Noted with TMF in September. ZJ944 : u/m : – CAT 3. ZK309 : QO-P : u/m : To TMF 27/9/16 from Echo. 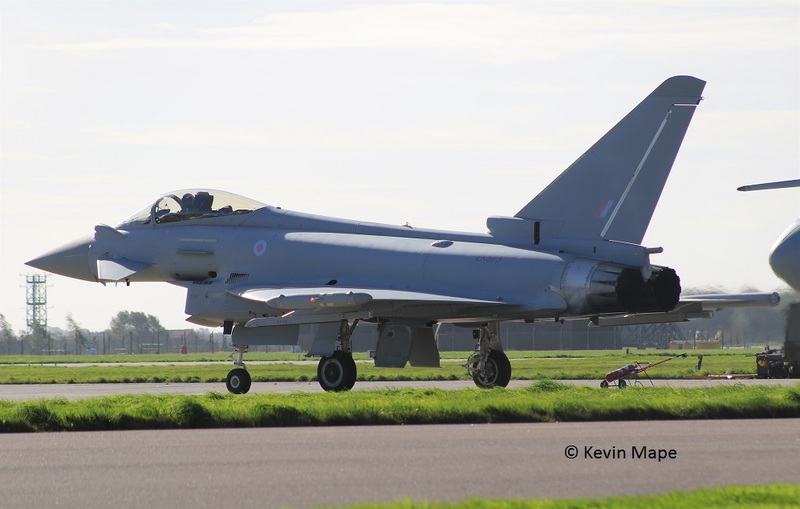 ZK310/FL : 1(F)Sqn : To TMF from Lossiemouth 22/9/16. ZK324 : EI : u/m : Noted on the ASP 28/9/16. ZK345 : EP : 6sqn : Delivered to Lossiemouth 22/9/16. ZK372 : u/m : Allocated to 29(R)Sqn – Noted on the ASP 29/9/16. ZK306 : ED : u/m : Noted on the Wash pan 27/9/16. 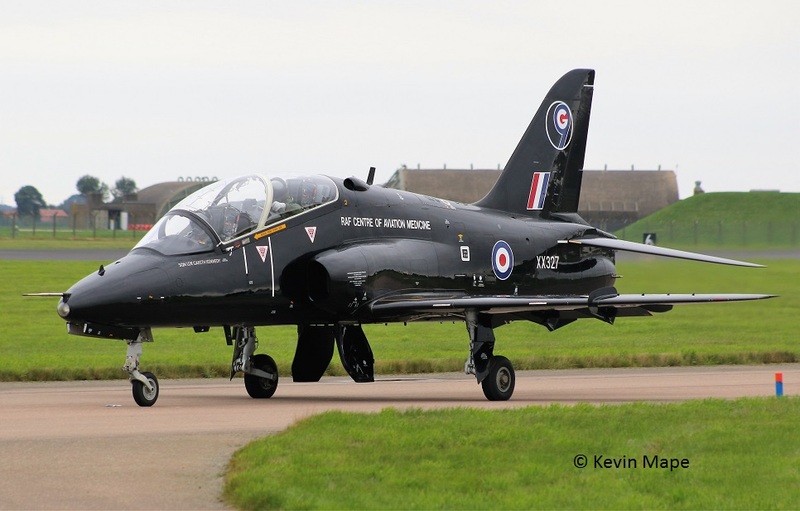 ZJ922/QO-C/3(F)Sqn * due to have wings removed early Oct ready for departure to Warton. ZJ940 – marked as DJ666. 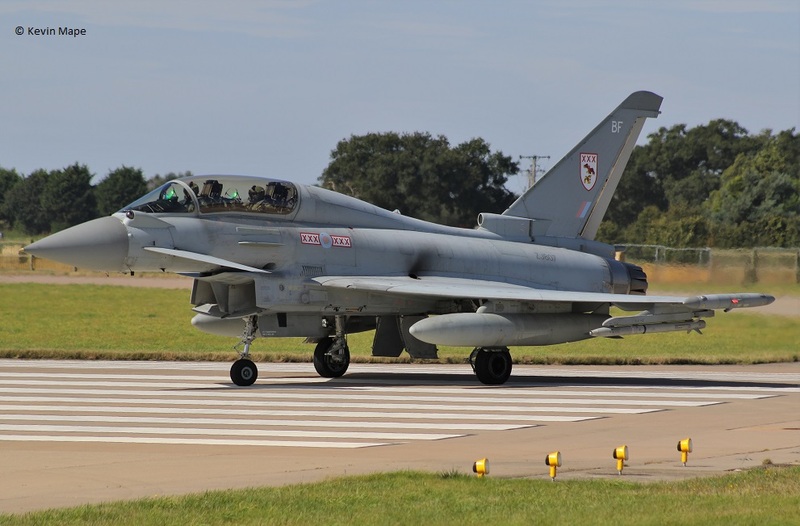 ZK369/ Unmarked/ Typhoon FGR4 c/s “Tarnish 5” – 18/2/16 – First Tranche 3 delivery.- Noted on Echo. 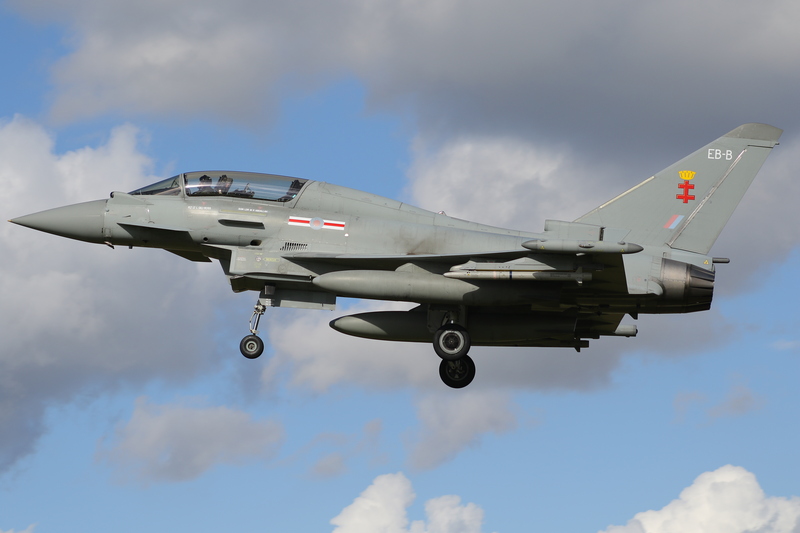 ZK365/ unmarked / Typhoon FGR4 c/s “Tarnish 9” – 15/3/16 – Allocated to 41(R)TES f/f in service 4/7/16. Deployed to China lake 19/9/16. ZK367 / unmarked /Typhoon FGR4 c/s “Tarnish 9” – 13/7/16. ZK372/Unmarked/Typhoon FGR4 c/s “Tarnish 69” – 15/8/16. – Allocated to 29(R)Sqn. 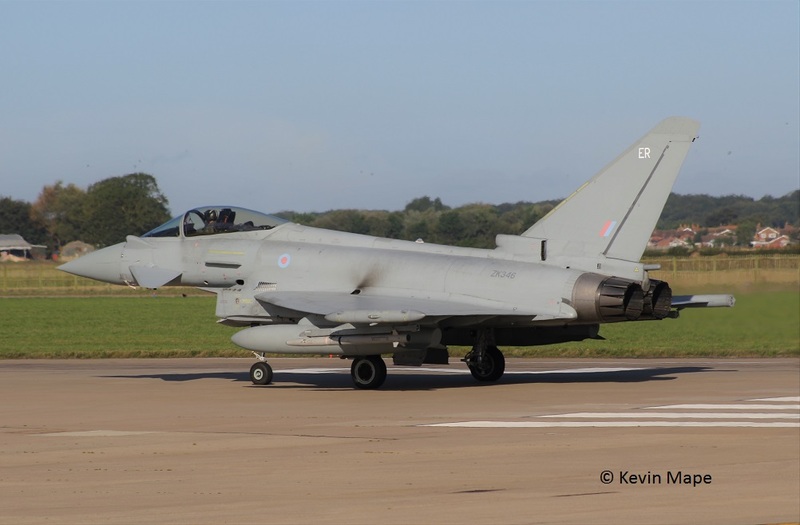 ZK373/Unmarked/Typhoon FGR4 c/s “Tarnish 5” – 30/9/16.